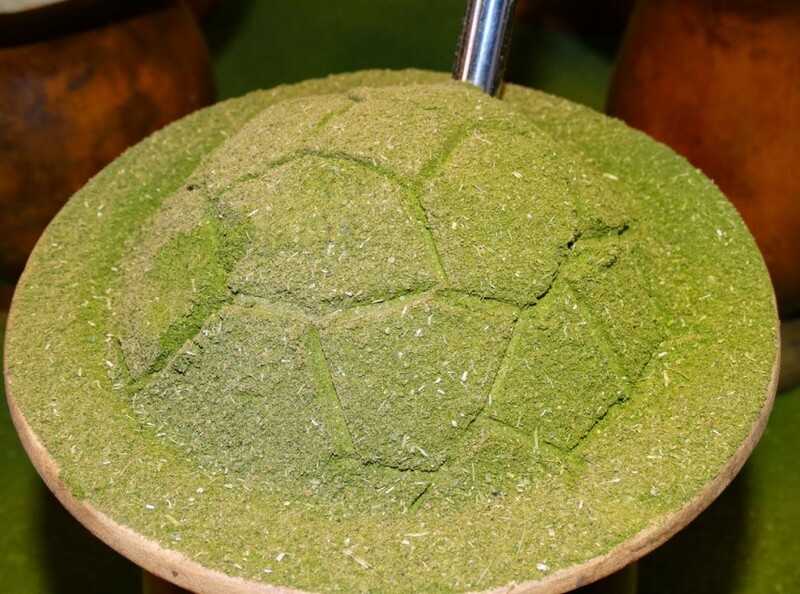 Increasing yerba mate prices are reshaping the way many Brazilians enjoy their mate. The state of Rio Grande do Sul is known for it’s Gaucho traditions and for drinking chimarrão in large and abundantly filled gourds. In the last months, however, many gauchos are being forced to abandon their XXL lifestyle for something that fits their pockets. In 2014 yerba mate prices rose considerably in Brazil, due to scarcity of raw materials in the previous year. Low prices paid to producers and poor investments made in the harvesting methods, resulted in a 200% price increase for the Brazilian consumer. In the countryside, farmers witnessed the arroba (equivalent to 15 kg) of yerba skyrocket from about 3 USD to an all-time high of 10.7 USD. With a kilo of product costing over 5 USD in retail, consumers were forced to abandon old abundant traditions and adopt leaner habits. Rancho Gaucho is one of the many yerba mate stands at the Public Market of Porto Alegre. Their yerba mate sales decreased by as much as 40% in 2014, but they were able to counter-balance the losses by increasing their offer of smaller gourds. – Recently, the price dropped a few cents, but its not enough to resume consumption, so we decided to focus on selling smaller gourds instead. – says Roberson Groff, manager at Rancho Gaucho. Usage of smaller and more modestly filled gourds has helped bring prices down to some extent. A recent study has shown that monthly consumption has dropped by more than 1,5 million kilograms and, according to Sindimate, is now steady at around 8 million kilograms/month. This habit change has directly helped decrease the amount paid to the producers, which has been around 5 USD per Arroba (around 15 Kilograms). This reduction, however, did not arrive in the same proportion to the supermarkets. The explanation, according to the president of Sindimate, Gilberto Heck, is the gap generated by a 400% increase of raw materials, which hasn’t yet been fully passed on to the consumer. According to the Brazilian Institute of Yerba Mate (Ibramate), prices today range between 2.5 USD and 5 USD. While the yerba price does not fall, the demand for small gourds persists and has caused gourd manufacturers to adapt as well. Edemilson Guimarães Xavier has about 10 acres of land dedicated to porongo, which is the plant used in the production of gourds. This season Xavier has followed the trend and adapted his fertilization method as well as planted the trees closer together, in order to harvest smaller fruits. The market has rejected large gourds for 300 grams of yerba, but the 100 grams gourd seems to be increasingly popular. – confirms Xavier. Planted in September of last year, Porongos began to be harvested in March of this year to then be transformed into gourds.